I am having a similar problem as in this previous post. 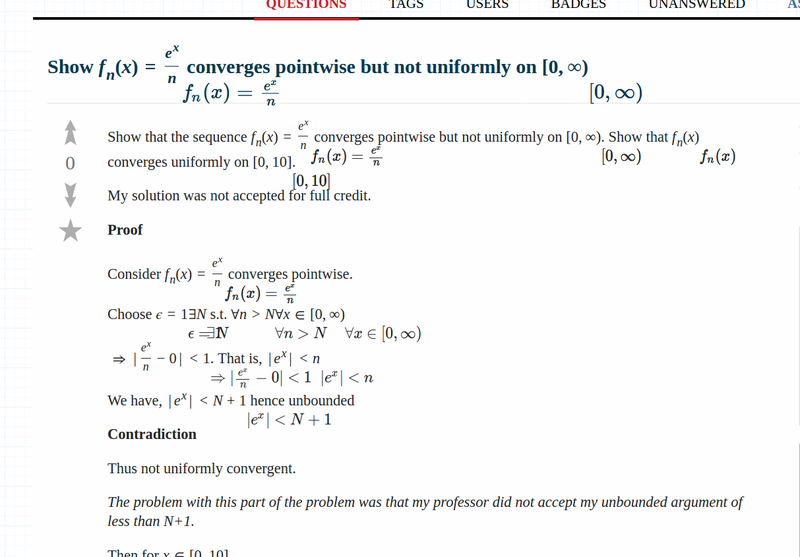 Just recently, ALL MathJax formulas started appearing twice in my browser. However, unlike in the linked post, it happens every time I load MathJax (rather than being occasional and not reproducible) and it cannot be fixed by refreshing. Any idea what's wrong? I can still read things on the site of course, but it's more difficult. Anyway I've disabled the extension now, and everything is working properly. Sorry for what turned out to be a not very useful question, very specific rather than of general interest. I do wonder what in the world that extension was trying to do that ruined MathJax behavior. Not the answer you're looking for? Browse other questions tagged bug status-declined mathjax google-chrome .